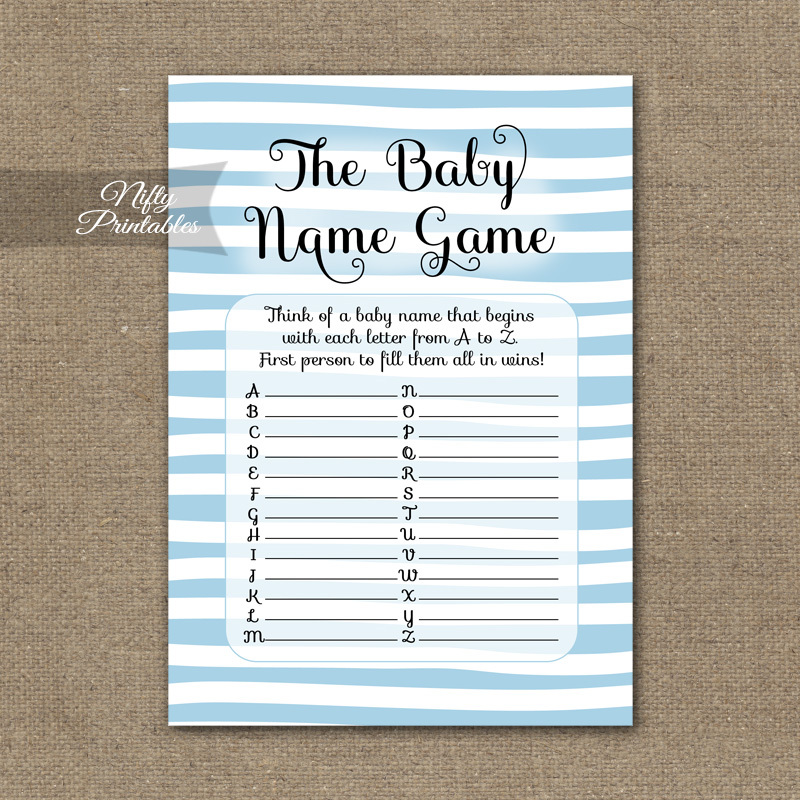 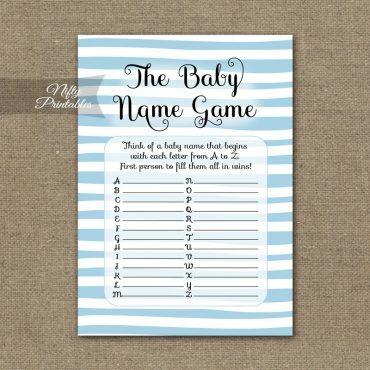 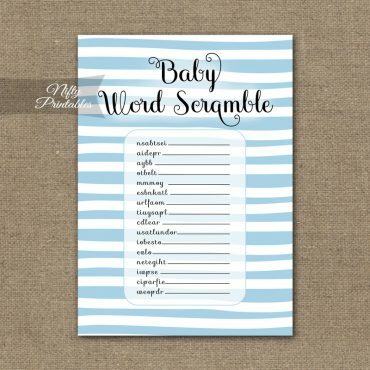 Printable The Name Game for baby showers. Cute blue and white hand drawn horizontal stripes with a dose of whimsy. 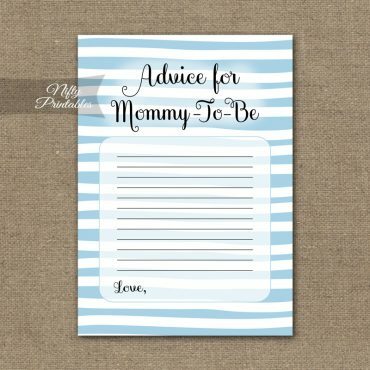 You Get: 1 PDF file with two 5"x7" cards on the page. 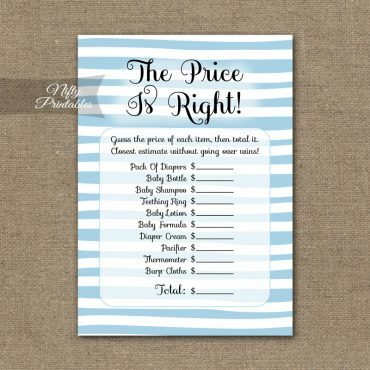 Just print and trim.